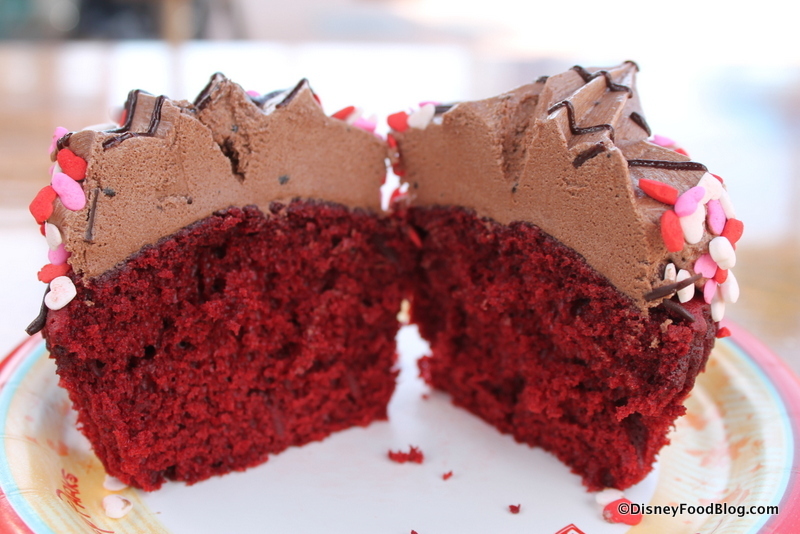 Valentine’s Day is fast approaching, and love is in the air… and in the current seasonal cupcakes at Disney’s Hollywood Studios! If you’re stopping by Starring Rolls Cafe or the brand new Trolley Car Cafe (not to mention other Quick Service locations around the park such as Backlot Express and ABC Commissary), you’ll be able to spot the latest cupcake creation celebrating Valentine’s Day with a tribute to a much-loved Disney couple: Lady and the Tramp. 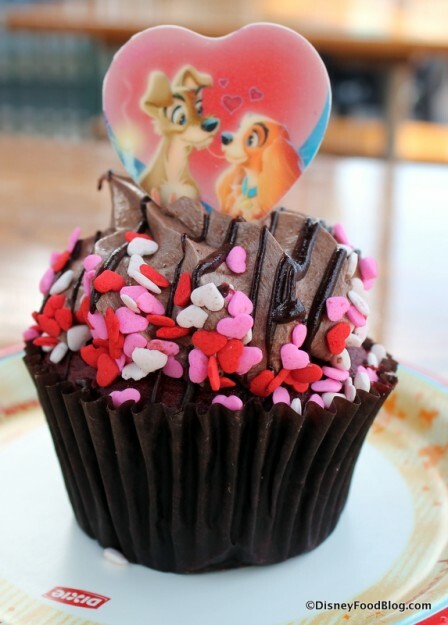 It’s a classic chocolate versus vanilla showdown between the two: the Lady and the Tramp Cupcake features red velvet cake with dark chocolate ganache, while the Cinderella Cupcake is vanilla cake with vanilla frosting. fondant art on the white chocolate heart topper celebrates a Disney film moment we all know and love. It just doesn’t get much more iconic than the “Bella Notte” spaghetti scene! The chocolate ganache is more of a detail than a main feature of the icing on top, but the richness of it makes for plenty to go around (it’s tucked underneath the icing as well as drizzled on top). I thought the chocolate icing was the most unique component here, since it was like a heavy mousse of sorts. I know that sounds contradictory, but I mean that it was somehow airy in texture, yet dense and rich in flavor at the same time, with a hearty helping of candy sprinkles (see what I did there? 😉 ). No filling in the base — just a basic red velvet, which unfortunately I found to be rather dry. 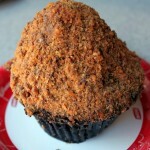 The more subtle cocoa flavor of the red velvet, though, was helped along by the rich topping. Like many treats that pop up across the country around Valentine’s Day, this one’s made with chocolate lovers in mind. 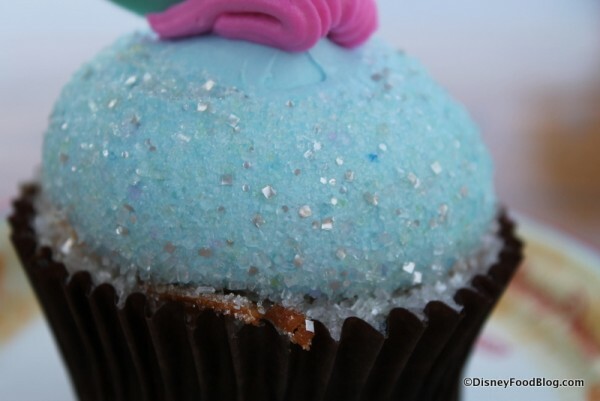 Vanilla fans will be drawn more to the Cinderella Cupcake. Cinderella’s white chocolate slipper sits on a small cushion of pink icing topping a huge, thick blue frosting base. 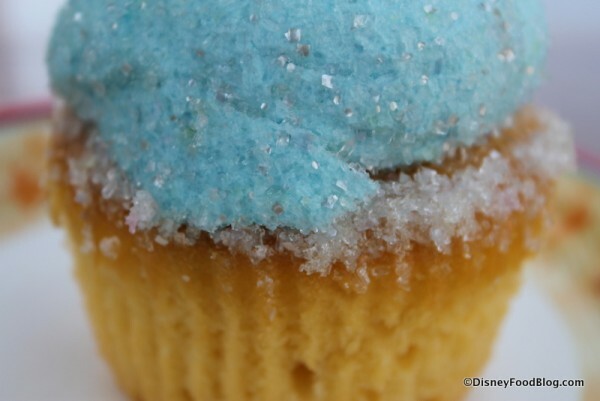 Despite the blue color, the flavor of the frosting is entirely true to its vanilla description on the sign, and it comes heavily sprinkled with sugar and edible glitter, which bring to mind the shine and sparkle of Cinderella’s slipper. 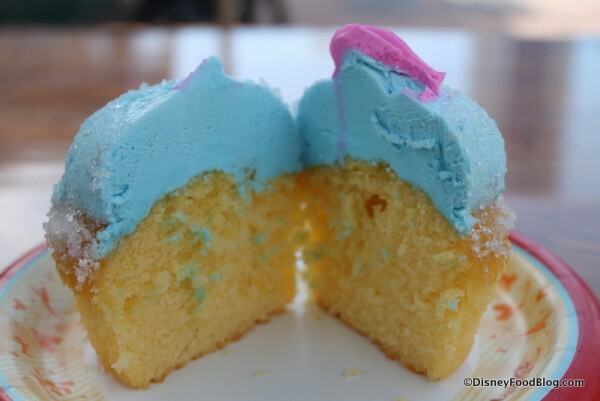 Again, no surprise filling inside — simply a vanilla cake, though this time the cake was nicely moist. 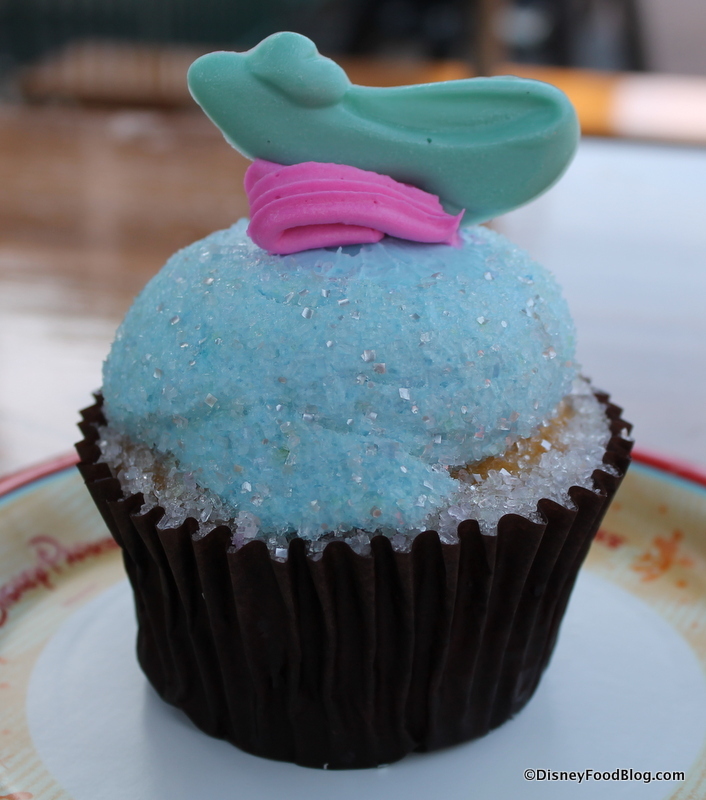 I must say, for all of the fun flavor combos to be found in Disney cupcakes across property, there are few things I like more than a good ol’ basic vanilla cupcake, and this one fit that bill exactly. The only exception to that statement was the heavy sprinkling of sparkly sugar that added a fun, unexpected crunch to the whole thing. 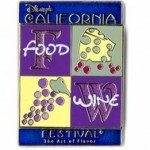 I really liked this one, and for me, it was the winner of the two. 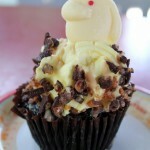 If over-the-top flavors are what you’re looking for, remember that you can always find those in the likes of the Red Velvet Cheesecake Cupcake at Starring Rolls, and the Chocolate Peanut Butter Cupcake and Butterfinger Cupcake found at Starring Rolls AND The Trolley Car Cafe. 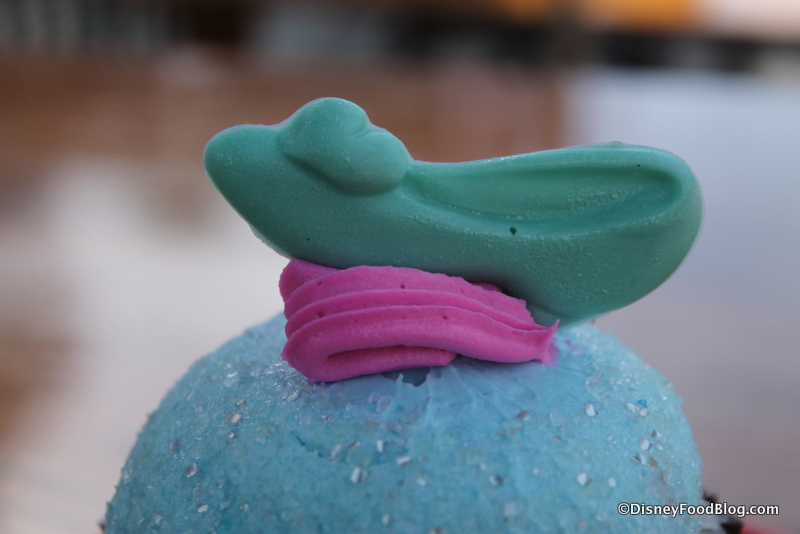 But if you’re in the mood for simple and classic cupcake flavors, either of these two seasonal cupcakes should do the trick just fine — each with the added bonus of Disney character heart. 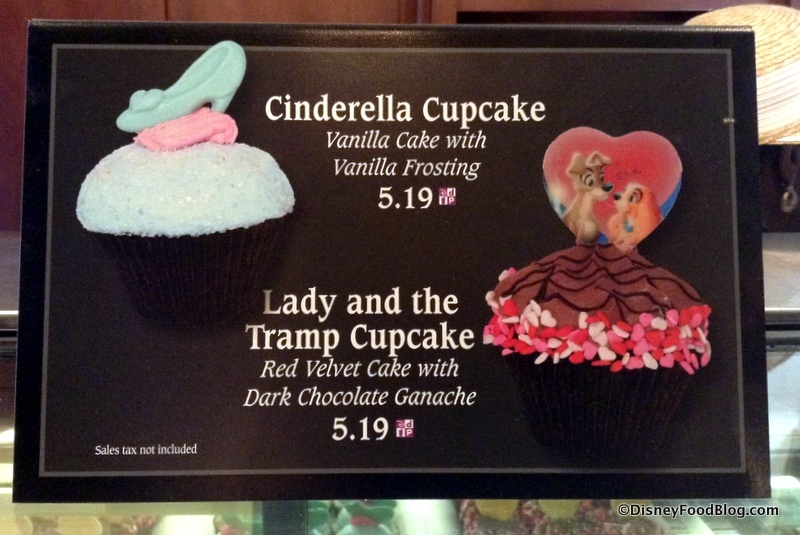 Would you like to try the Lady and the Tramp or Cinderella Cupcake? Please let us know with a comment! 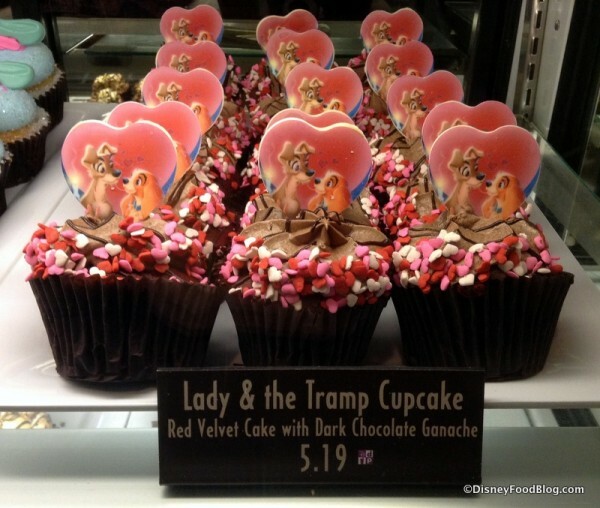 I’m more of a chocolate person so Lady and the Tramp will be my choice. Both do look good though. 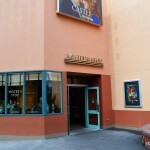 Lady and the Tramp sounds good, though hopefully I will get a more moist cake! 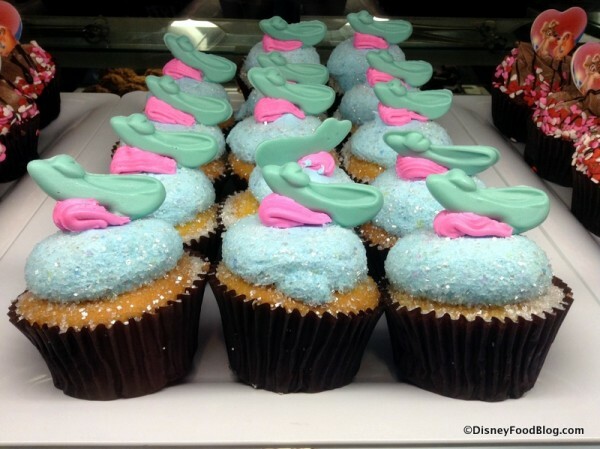 Does anyone know if this means they no longer have the Baymax cupcakes? I will be down there next week and I was really hoping to try that one! I’m a chocolate lover, but I’d be happy with either of these; if I could only have one it would probably be the Lady ad the Tramp. Choices can be tough…. Was down there last week and yes the Baymax cupcake is now gone. Thanks for featuring the cupcakes. 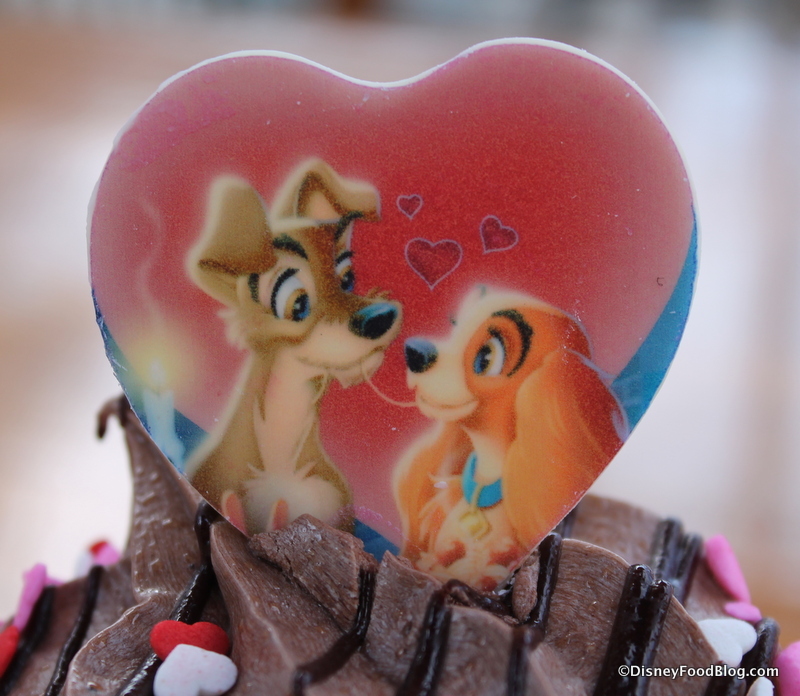 Was able to find the Lady and the Tramp red velvet one at Pizza Planet in HS. 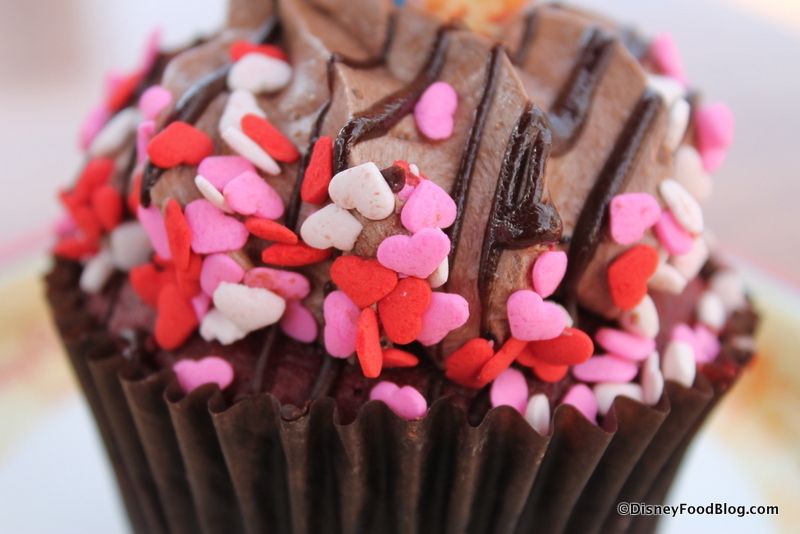 It was delicious and a nice treat for our family to help celebrate Valentine’s Day! 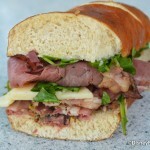 I am a big Lady and the Tramp fan so I was thrilled!